Hi there! Did you miss me? I figured y’all could use a little break from my rambling after the whole daily blogging challenge. 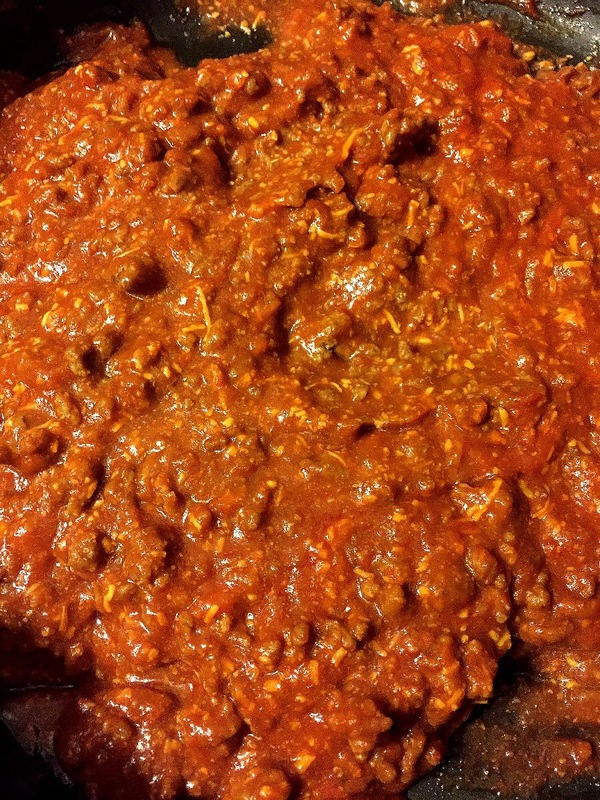 I couldn’t resist sharing a recipe though, so for Serve It Sunday I’m sharing my homemade sloppy joes. 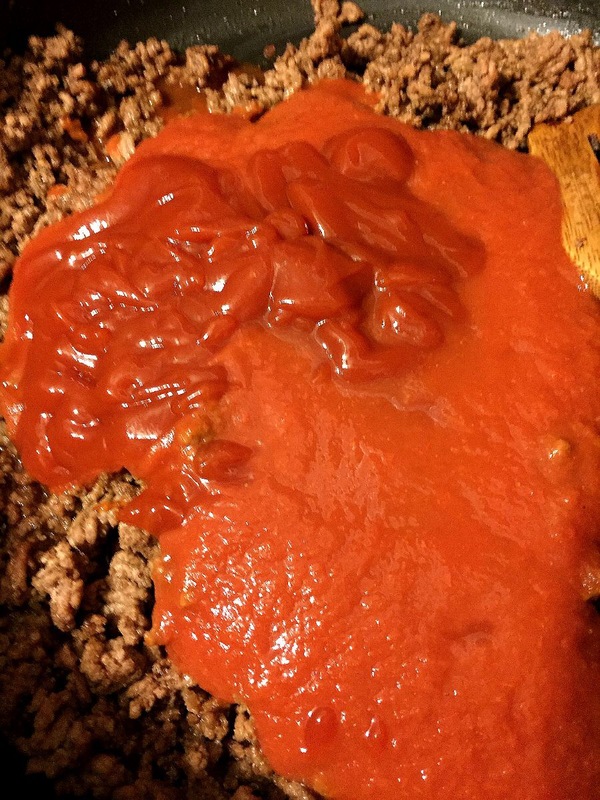 I adapted it from a recipe for Sloppy Joe Casserole that I found on Pinterest, original recipe is here, but after having the original we decided to tailor it more toward our taste. The original recipe was good (although I admittedly omitted two ingredients because I had to), but it had a bread topping that neither of us cared for that soaked up almost all of the sloppy joe mixture. After some experimentation this version was born. I’ve mentioned before that I have some food sensitivities and sadly canned sloppy joe mixture became off limits due to the spices and additives. 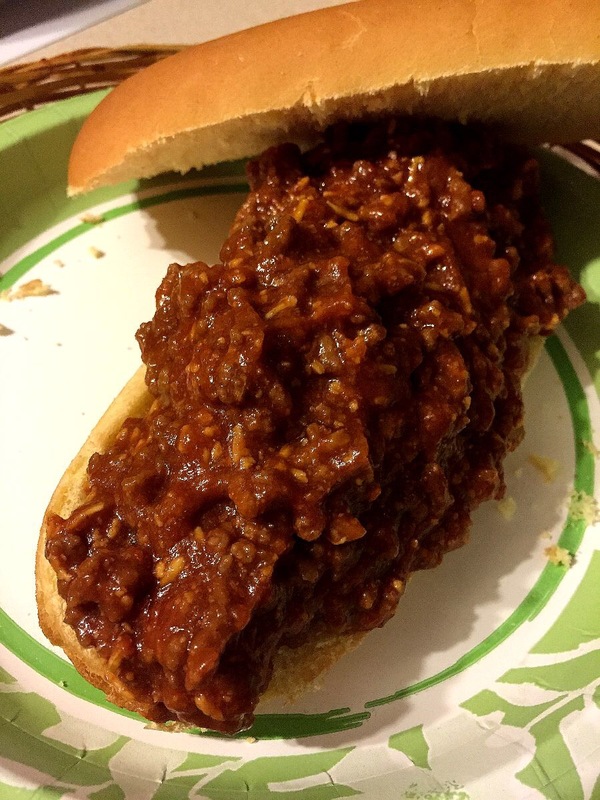 I’d honestly never seen homemade sloppy joes before, so when I found out it was this easy AND especially that with a little adjustment it doesn’t make me sick, I was tickled pink. The recipe in an easy to copy format will be at the bottom. First, on the stovetop you brown some ground beef (I vary the amount of meat depending on the mood honestly lol) over about a medium high heat. 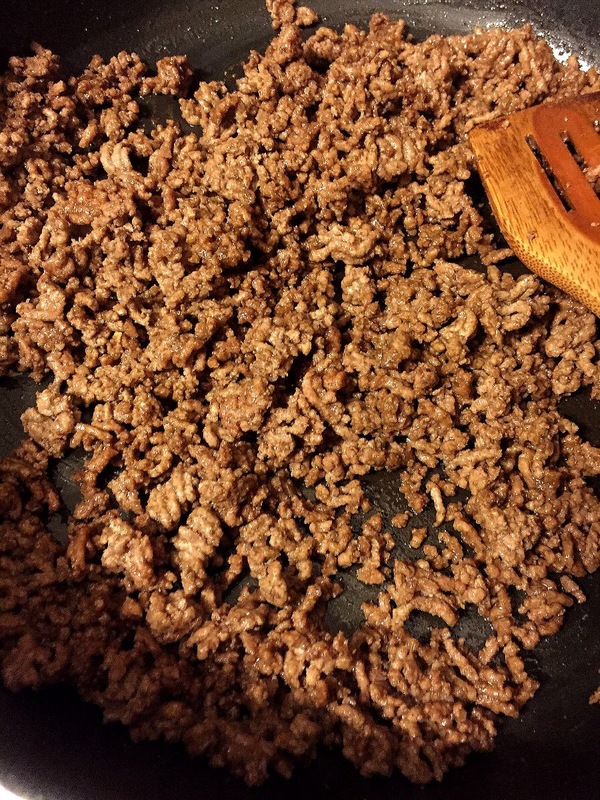 I use the 92% lean ground beef and it makes for the least greasy sloppy joes I’ve ever seen. While that’s cooking I found that if I mix the spices into a paste first and then coat the cooked meat with that before adding the tomato products, the flavors distribute much better, so in a small bowl mix brown sugar, Worcestershire Sauce, ground mustard (it’s powdered, found in the spice aisle), and garlic salt. If you gather the cooked meat into a small circle and pour the spice mixture over it, it’s easier to coat the meat. Stir well to coat the meat (second picture). We’re are some cheese loving folks, so in goes a generous helping of shredded cheddar cheese. After awhile the cheese mixes in and it gets all ooey gooey yummy. It may not look it, but this sloppy joe mixture is so thick that it doesn’t drip through the slats in my wood spoon once the mixture is heated well. *grin* It’s not quite “stand a fork in it” chili thick, but it’s pretty dang hearty. Use whatever bread vessel you prefer or have on hand (this go around I had leftover sub rolls from French Dips). 1. 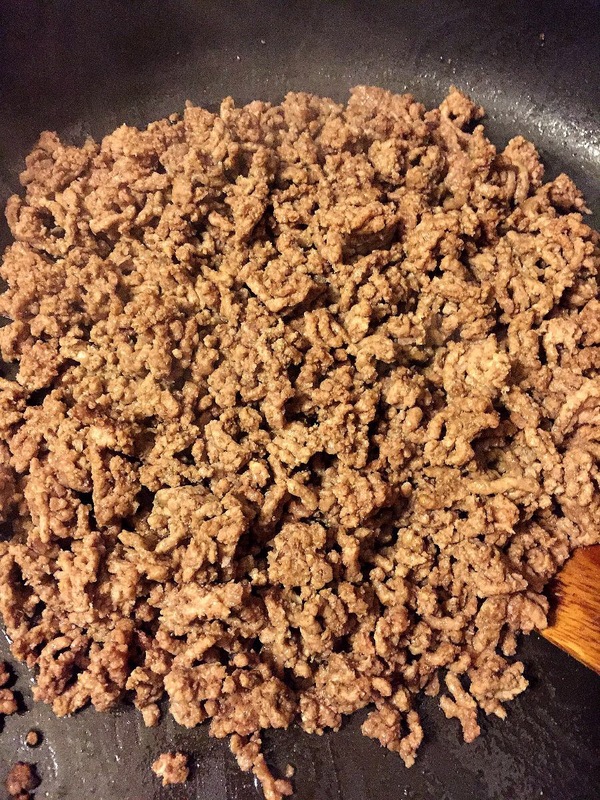 On the stovetop over medium high heat brown ground beef in a large skillet. 2. 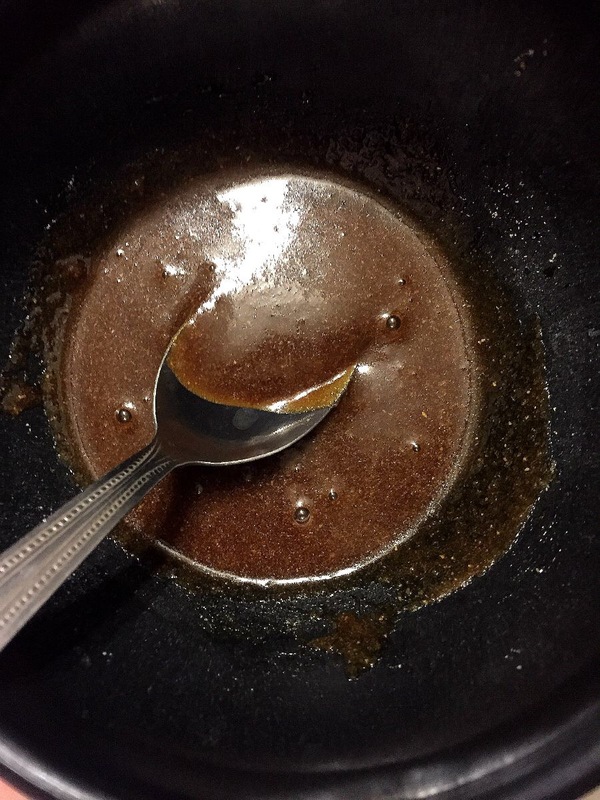 While meat is cooking, mix the brown sugar, Worcestershire Sauce, mustard, and garlic salt into a paste. 3. Once the meat has cooked gather the meat in the center of the pan and pour the spice mixture over the meat. Stir to coat the meat well. 4. Add tomato sauce and ketchup to the mixture and reduce the heat to medium. Do not cover. 5. 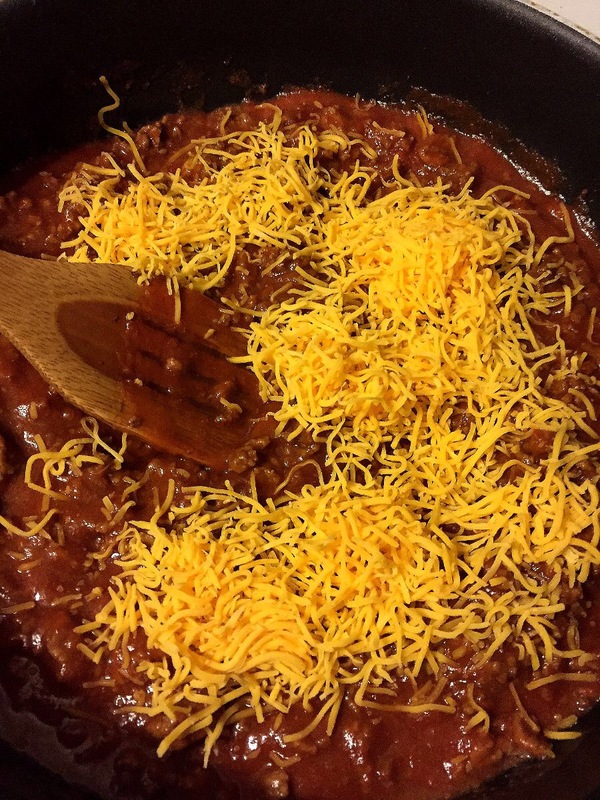 If desired, add a generous amount of shredded cheese to the mixture and stir it in. Note: This is a thick version. If you prefer more liquid, cover the skillet after the fourth step. This should keep a bit more of the moisture in. Posted in Recipes and tagged Beef, Homemade, Recipes, Sloppy Joes. Bookmark the permalink.